The Detroit Blight Task Force's Mission is to develop a straight forward and detailed implementation plan to remove every 'blighted' residential structure, commercial structure, public building and clear every blighted vacant lot in the city of Detroit in as fast a timeframe as possible using an environmentally conscious approach. The plan's recommendations will focus on creating economic opportunities for the city and its people, as well as dramatically improving the safety of residents and first responders. Dan Gilbert is Founder and Chairman of Rock Ventures LLC, the umbrella entity for his investments and real estate which encompasses over 80 companies, and Quicken Loans Inc., the nation’s largest online home lender and third largest retail lender. Dan is also majority owner of the NBA’s Cleveland Cavaliers, the NBA Development League’s Canton (Ohio) Charge, the Arena Football League’s (AFL) Cleveland Gladiators, and the American Hockey League’s (AHL) Lake Erie Monsters, as well as the operator of the Quicken Loans Arena (“The Q”) in Cleveland, Ohio. Dr. Glenda D. Price, Ph.D serves as President Emeritus of Marygrove College. Dr. Price served as the President of Marygrove College since 1998. Prior to this, she was the Provost at Spelman College in Atlanta. She has held positions as faculty and administrator at several academic institutions, as well as practicing as a clinical laboratory scientist. She has been a Director of Compuware Corporation since October 2002. 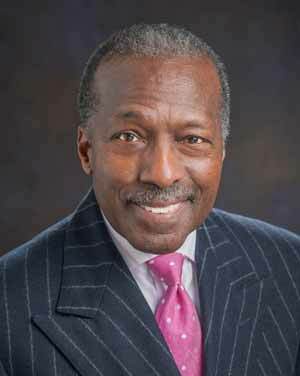 Dr. Price serves as a Director of LaSalle Bank Corporation and a Member of the ABN AMRO Group. She serves as Trustee of Alma College. She serves as Member of Advisory Board of Detroit Executive Service Corps. Since 1995, Ms. Linda Smith has been the Executive Director of U-SNAP-BAC, Inc. and U-SNAP-BAC Non-Profit Housing Corporation. Under Ms. Smith’s administration, the organization has secured operating funding for U-SNAP-BAC’s programs and services and successfully executed coordinated strategies in partnership with many community partners to stabilize communities and create neighborhood based economic development opportunities.